New! Read-Along Audiobook Included. Free! Free Unlimited Retakes for Your Peace of Mind. Save Your Work and Continue When You're Free. Only 4 Chapters Course. Unlimited Exam Retakes. 4. Get instant Passing Confirmation. 5. We report your completion to WIS DoT. Select the state where you were issued the ticket. Having issues? Sign up manually or call us! 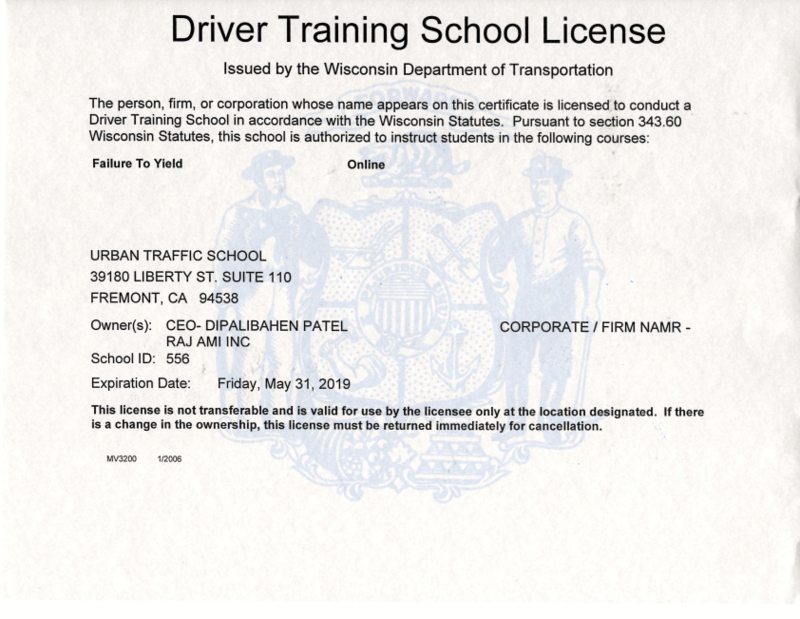 Any person who receives a citation and is convicted for failure to yield under Wisconsin statute 3​46.18​ is able to ​attend Urban Traffic School's Licensed failure to yield right-of-way course. 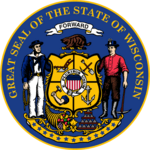 When you complete our Wisconsin DoT approved course, on the same day we report your completion to DoT making our process to be fastest in the State. We also ship your certificate on the same day. We designed our course keeping an average Wisconsin driver in mind. We are so confident in our course that if you do not pass our Wisconsin 2 Hours Course, your next retake is on us! Compared to a boring classroom up-to $100 course, we offer much cost effective online course. We promise you an easy, self paced and fast failure to yield school for unbeatable price. This course is completely self paced. Log in and out of the course as many times as you'd like! Your progress is automatically saved. Whether you use a tablet, PC or a smart-phone, our course works on all devices. You can study at home or work, at your convenience. Visual aids help our users understand our materials better. We have incorporated videos and graphics to assist you in the learning process. Data security is our number one priority. We encrypt all of your information. Your info is moved away from our servers once you finish the course. Get a great welcome email and a course completion certificate, instantly. Our open communication policy is why our users love us! We made our course as simple as possible. With four chapters to study and having practice quizzes, helps you get ready for the final exam. The final exam covers what you study in our course. With over 100% success rate, rest assured you are making the right choice choosing us. An on-line course at Urban Traffic School is simple to follow, fun to read and easy to pass. Our final exam is 25 questions and contains common knowledge driving techniques. Moreover, you have unlimited tries to pass the final exam. We have over 99% success rate with our final exams. An online course at Urban Traffic School is simple to follow, fun to read and easy to pass. Our final exam is 25 questions and contains common knowledge driving techniques. Moreover, you have unlimited tries to pass the final exam. We have over 99% success rate with our final exams. Signup now and get a free Certificate Issue SMS notification for free.